Matilda Sheffield-John glanced languidly around the veranda of the club house from the comfort of her favourite wicker chair. In the distance she could see a knot of men gathered around the chair where her husband Major Sheffield-John was relating his tired old stories of glorious battles for the Raj in distant places. She shook her head irritably and brushed flies from her limbu-pani drink with ice cubes rapidly melting in the heat. Her husband had a tendency to exaggerate his importance in those battles but it was known his men did the fighting while he luxuriated in his officer’s tent tended by his personal servants and fuelled with a liberal supply of his favourite alcoholic beverages. Matilda disliked her husband immensely, but his position gave her status in the Indian colonial outpost of Bombay and that was worth putting up with his nonsense. “I think the limes they put in their limbu-pani must have been taken from the Bazaar sweepings this time,” she said crossly to Florence Warburton seated next to her. Florence looked at her own drink and took a sip. “Bit too much sugar in it too,” she said. But she was secretly pleased the old Memsahib had been irritated. The Major’s wife was known to be short tempered and demanding and Florence was one of the few willing to sit with her at the club. White uniformed waiters ran to assist. They looked alert and grand in their uniforms with their distinctive club head dress, a far cry from their arrival at the club in the early morning from the slums of Bombay in their tattered kamise and dhoti to be rushed to supervised showers and groomed for the day service to white sahibs. There would be the usual banter in shower rooms as each recounted their experiences of yesterday with imitations of the safed bandar (white monkeys) they’d be serving that day with the greatest of pretend respect. “More Ice!” Matilda Sheffield-John shouted in her most commanding voice. The waiters bowed and ran to do her bidding. Men gathered around her husband turned to look then broke into laughter as they watched the waiters scurry toward the kitchen. Their feeling of superiority was written on them for all to see and they revelled in a power that could make millions jump to their command. 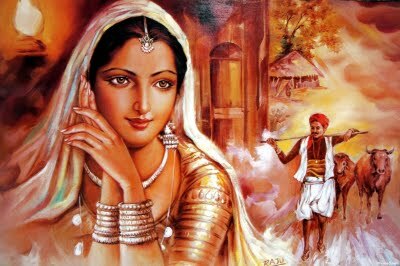 But Matilda’s attention was diverted to a corner of the room where a striking young woman in a sari caught her eye. She moved with ease and confidence unlike the waiters who’d bowed and ran at her command. She saw men surrounding her husband had noticed this woman too and they’d turned their attention there while the Major prattled on completely unaware he’d lost his audience. Matilda watched as the young woman made her way around chairs and tables arranging flowers, and sweet meats. She didn’t touch discarded cups and plates but with unspoken signals summoned waiters to these menial tasks and they ran to do her bidding with a smile. Even the sahibs were careful not to summon her with commanding calls as they’d usually do to a club noukar. There was something about this woman in a sari that had everyone’s respect and attention and Matilda burned with curiosity at this unusual situation. The natives were there to serve her, but there seemed to be a difference with this woman that made Matilda both irritated and interested. Matilda turned to Florence who was absorbed in the latest magazines from England. Who is that woman? Florence looked at Matilda and then turned to see who she was talking about. “I’ve never seen her here before,” Matilda said shrugging her shoulders and returning to her magazines. Matilda clapped her hands and called one of the waiters over. The waiter squinted through the haze of cigarette and pipe smoke and then smiled. “Priya Memsahib,” the waiter said with obvious affection. “Tell her to come here,” commanded Matilda. The waiter looked uncertainly at Matilda, then Priya, and shuffled over to whisper his instructions. Priya looked in Matilda’s direction and then resumed her work. Florence looked up momentarily and then resumed her reading. Matilda could be quite a bore at times and Florence secretly admired the girl for not jumping at her command. That evening an angry Matilda poured out her frustration to her husband the Major but the only response she received from her inebriated husband was a curt command to let it rest. The girl Priya was a favourite of the club patrons and he didn’t want Matilda disturbing the peace as she was wont to do too often. Then calling for his evening drinks he retired to the veranda of his bungalow overlooking the coastline which the British had named the “Queen’s Necklace” because of the shimmering white sand curve of the bay which he could enjoy watching from his large bungalow on Malibar Hill. From here he’d enjoy sunset over the ocean and smell the fragrance of lady of the night blossoms. The Major enjoyed his retirement lifestyle immensely and no woman was going to spoil his evening pleasure. Matilda worked her displeasure out on the servants and had them scurrying off in all directions trying to keep her happy. Then as the same fragrance of the evening began to penetrate the bungalow she calmed down and began to enjoy her evening too. Now off to read the sequels. I will be working on chapter 6 today so there’s lots of action still ahead. Hi Ian, I enjoyed the atmosphere that this chapter evokes. I’ve only been to India once, but it seemed to me that I was there on the veranda with Matilda. I am fascinated by the potential conflict between the serene girl Priya and the irritable old lady. Following up on Eric’s story when my parents returned from Kenya they had a beautiful Tiger skin with them. Eventually it ended up with my sister and got lost somewhere in Asia between England and Australia. Isn’t it a pity when moving results in the loss of unusua,l and often priced, possessions? You are well travelled so would better comprehend the story than many would. The colonial period was a mixed bag. Tremendous good was done in uniting some of these colonial outposts under one government rather than a weak collection of small kingdoms and providing infrastructure which has been built on since. But the cruelty and devaluation of persons that sometimes accompanied those good things left anger and resentment which survives in some pockets today. It was only after spending much of my life in India and becoming firm friends with Indian people that I realized how much good and how much evil had been done to the people in equal measure. I’m sure none of what I write in this series will be far from the truth of the times. I had to smile at your White Rajah story. Sounds fairly accurate for some of the White Rajahs of that time. Of course not all had that superior attitude and much good was done also. Ian, you nicely captured the nuances of that period with this opening chapter and set the stage for many interesting episodes. I’m sure all who read this introduction, will be as intrigued as I am to learn about Priya and how the Memsahib will go about bending this ‘girl’ – if ever. The chapter also brought a smile and some memories. In the 1930s, Grandpa was part of a village team who tracked down and killed a tiger in the Malayan jungles of Johore. The spear he used remains a family heirloom with one of my cousins. I’ve felt the heft of that spear – it was heavy. My older brother became the beneficiary of a sliver of that tiger’s skin. After the villages reported the kill to the plantation manager, an Englishman, the village quickly filled with photographers, reporters and the curious. The news broke the following day, and the ‘white raja’ sporting a handlebar moustache, prominently featured next to the dead tiger. Though he did not explicitly take credit for the kill, he shouldered a shotgun and the implication was as clear as broad daylight. Grandpa bought a copy of that newspaper – although he read no English. For many decades, my uncle had a copy of that yellowed cutting but lost it to perhaps the ravages of time but probably to the multitude of house moves. If I ever unearth an electronic picture from the internet, I plan to add it to my collection. Lol. Grandpa had very little store for that ‘white raja’. Coming back to your story – I’m looking forward to reading more. Keep them coming.